76ers GC has this TIPOFF Tournament thing figured out. 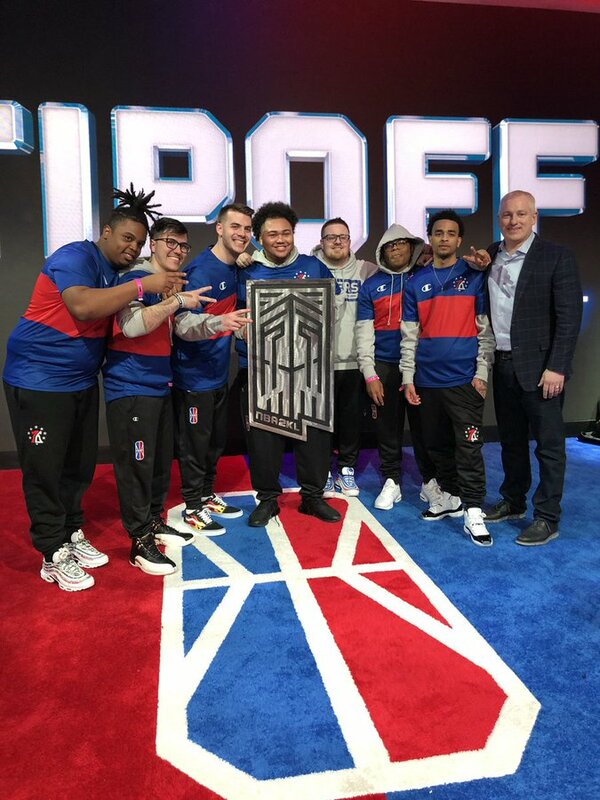 Eleven months after capturing the first-ever TIPOFF Tournament banner, the team swept through the group and elimination stages to reclaim the banner with a 70-52 win over Celtics Crossover Gaming. Along with the banner, the team will take home $52,000 from the $120,000 prize pool. Star point guard Radiant was named tournament MVP after averaging 19.6 points and 8.2 assists per game over the course of the tournament. He scored 27 points and dished out 8 assists in the Finals win. 76ers GC led 38-24 at the half and extended their lead to 59-38 by the end of the third quarter. Star center Steez finished with 10 points, 8 rebounds and 4 assists in the win, while secondary ballhandler ZDS scored 12 points. First-round pick Breadwinner added 10 points and 9 rebounds in the win. Celtics Crossover started slow, similar to its 46-44 win over Heat Check Gaming in the semifinals. The team shot poorly in the first quarter and fell behind 23-5 in the first five minutes of the game before closing the first quarter on a brief 6-0 run to cut the lead to 23-11. The 76ers’ defensive gameplan and on-ball defense held ProFusion, the Celtics’ scoring leader until the Finals, well in check, and oFab couldn’t match the 76ers’ scoring on his own. The Celtics made two Finals—the Turn and the Ticket—last season, and lost both. It has lost another one today, and its defeat further perpetuates the question of what it will take to get over the hump. The Celtics take home $37,500 for their second-place finish, but the money is small consolation for a third Finals failure. The third- and fourth-place teams, Heat Check Gaming and Magic Gaming, each took home $15,000 from the prize pool for their semifinal finishes. 76ers GC eviscerated the Celtics in the pick-and-roll. Radiant, arguably the best pick-and-roll point guard in the league, repeatedly torched xN0 AUTOGRAPHSx, running a glass cleaner, and did the same when the Celtics switched Mel East into pick-and-roll defense duty. That change hardly stemmed the flood. Radiant is lethal. He can break down any player at the top of the arc with his dribble moves, as he does to a jetpack-joyriding ProFusion here. He can also out-wait you. Here, bad defensive communication gives him a boost as Mel steps toward the wrap, allowing Steez an unfettered path to the basket. Radiant makes the right reads in the pick and roll 99% of the time, and only the headiest of point guards—most without Radiant’s dribble capabilities—can match him. Steez is a wily player and an essential cog in the 76ers system. He’s a stellar pick-and-roll defender. Now, running a sharpshooting rebounder at center, he becomes a pop threat in the already-dangerous pick and roll. He can fade out when need be. He slips at the right times. He’s also an underrated passer at the 5. Here, he notices Fab’s early drive help from the corner and punishes him for it the moment he gets the chance to pass. With Jeff Terrell at the helm and a talented, veteran core, the 76ers have their sights on more than just the TIPOFF Tournament banner. They’ve got this one figured out, and now they’re looking to figure out a championship.